Being an effective leader hinges on your ability to be self-aware. Self-awareness is foundational in developing your emotional intelligence. 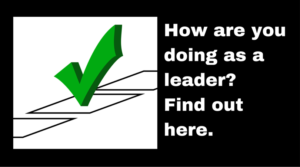 We’ve created a brief individual leadership assessment to provide you with an opportunity to reflect on your leadership. The assessment is based in part on Patrick Lencioni’s work in The Five Dysfunctions of a Team. We (Diane Brennan and Alexandra Ross) offer a depth of experience as leadership / executive coaches. We specialize in working with executives, managers, and teams who have learned the value of adding leadership development into the mix to support their success.